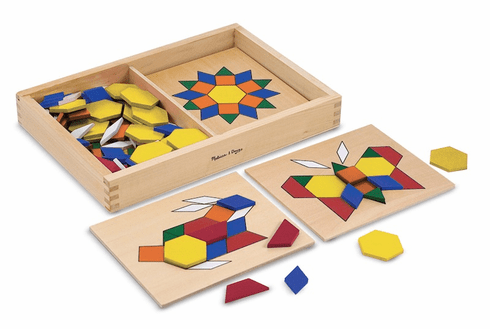 This solid wood set includes five double sided boards and a large assortment of geometric shapes to arrange in fun designs. This toy is a great way to not only spark creativity within your child but to get them thinking about shapes. Ages 3+ 13" x 9" x 2"